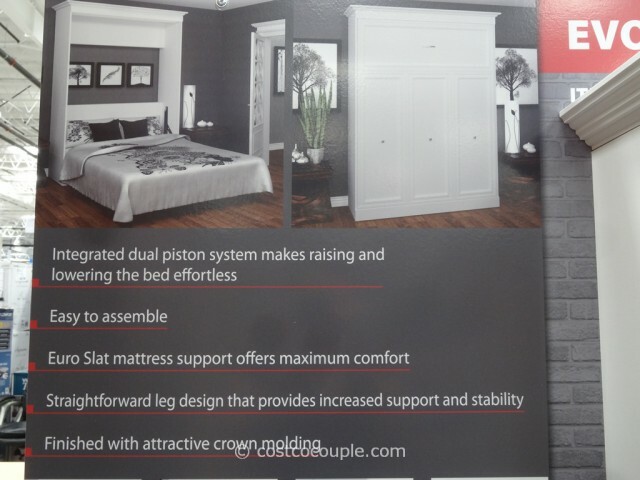 Don’t you wish you could tuck away the guest bed and use the space for something else e.g. 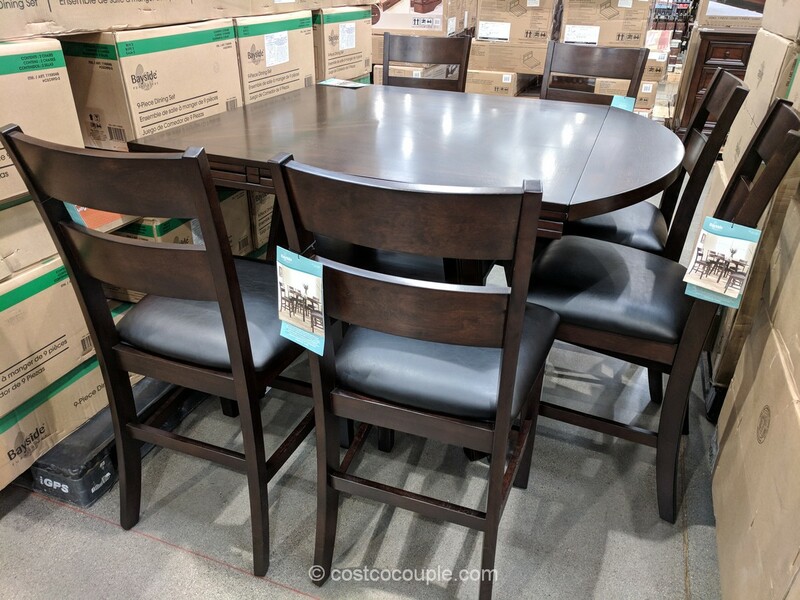 a reading or TV room when you don’t have guests? 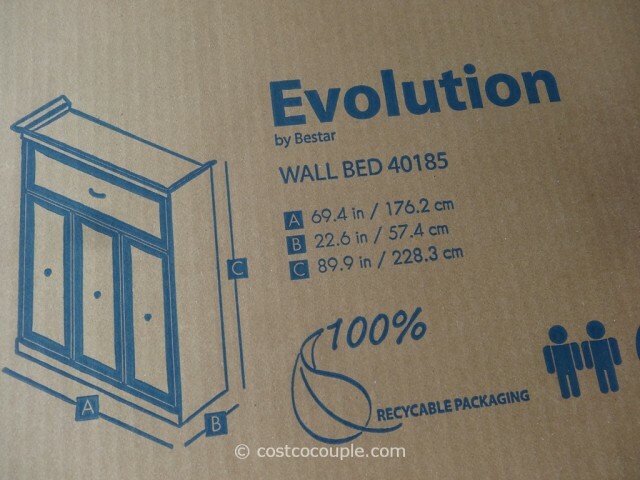 You could if you have something like the Bestar Evolution Queen Size Wall Bed. 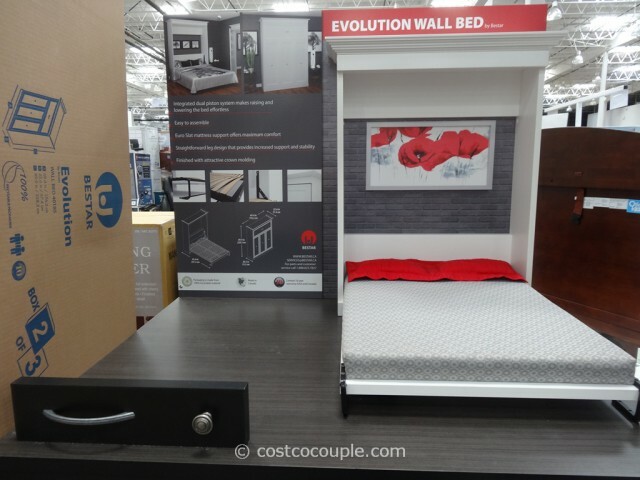 If you cringe at the thought of wall beds, this one actually looks pretty nice! 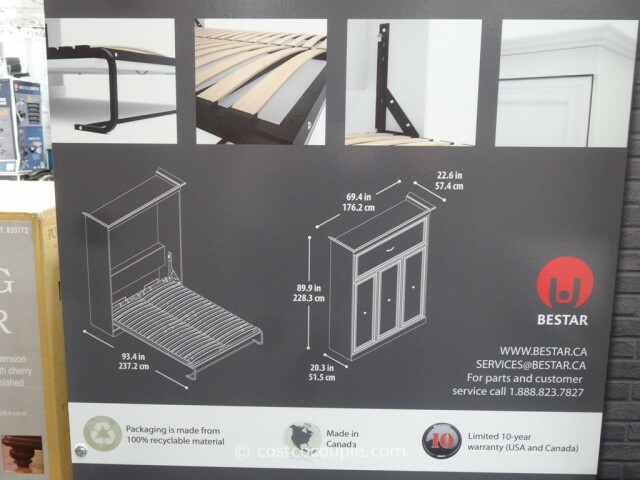 It’s finished with an attractive crown molding and has an integrated dual piston system so lowering and raising the bed does not require much effort. 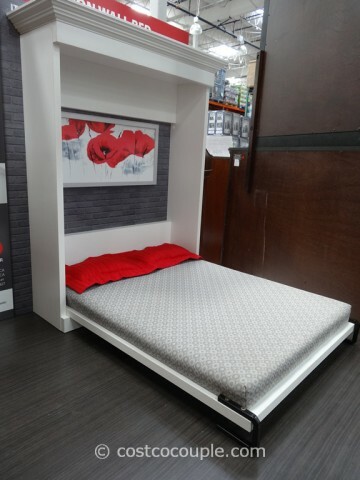 No box spring is needed as it uses the Euro mattress slats. 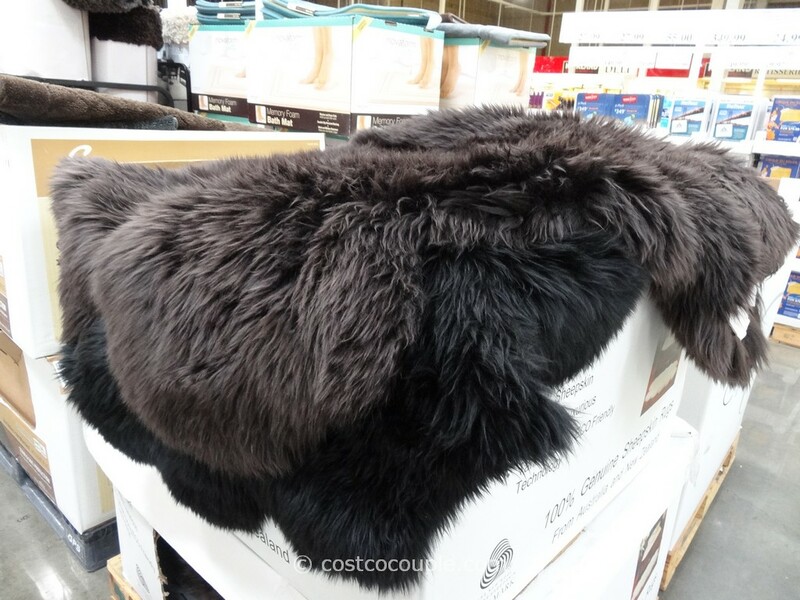 We’ve only seen this item at the Costco Redwood City store so far. 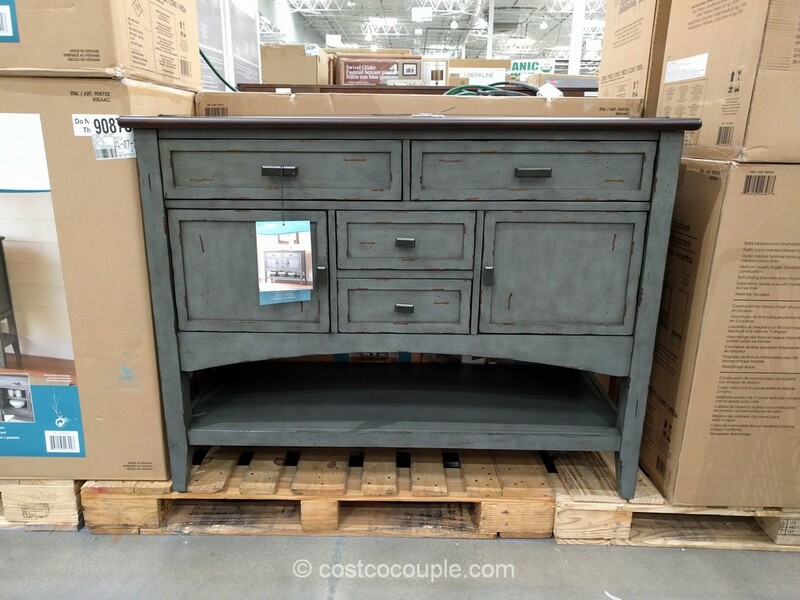 Have you seen this at your store? 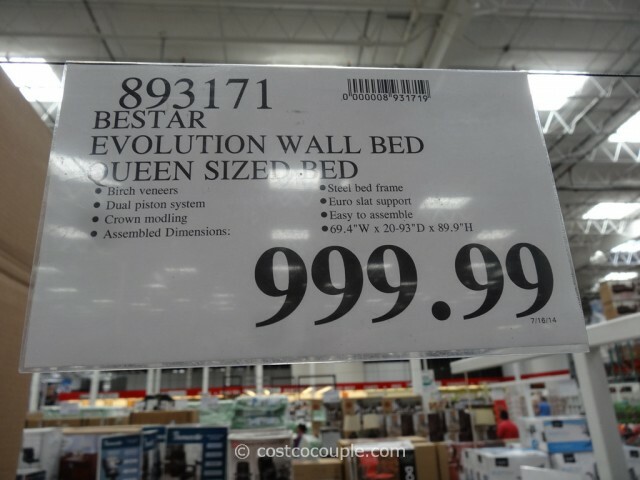 The Bestar Evolution Queen Size Wall Bed is priced at $999.99.